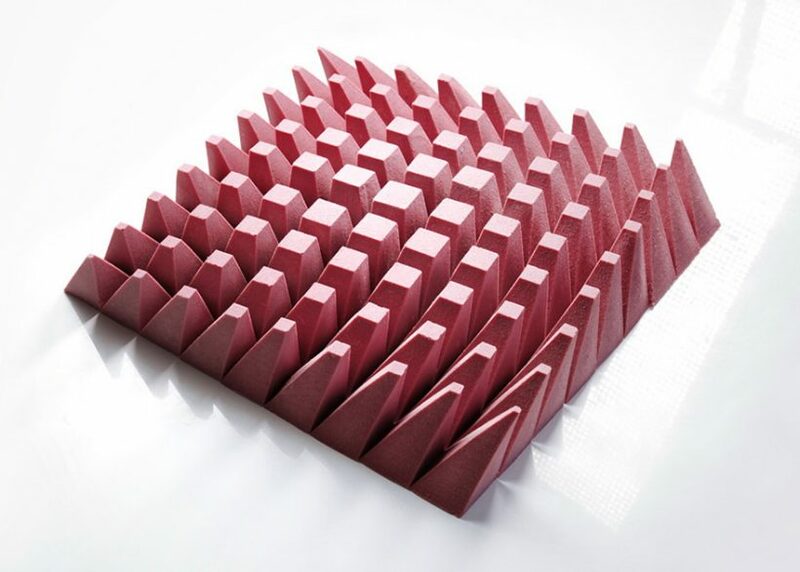 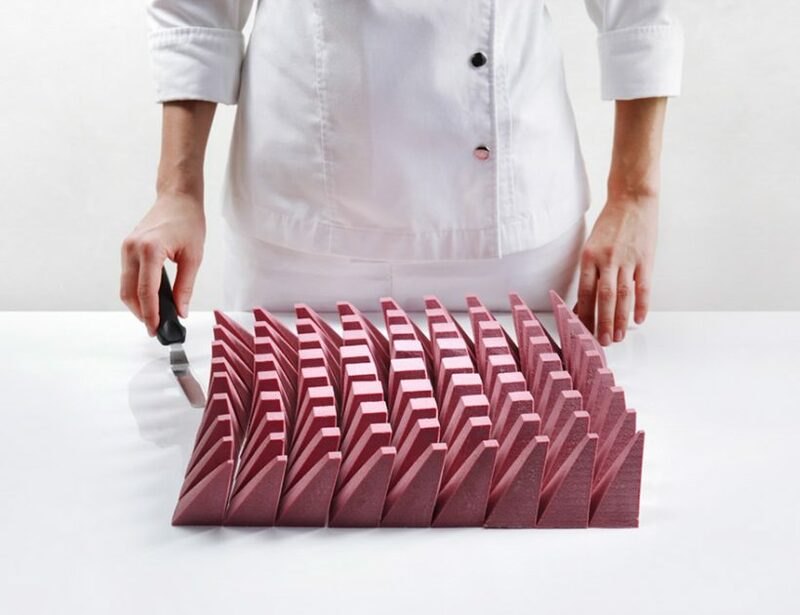 As an architectural designer with mastery of combining desserts with architectural designs, the Ukranian pastry chef Dinara Kasko got inspiration from the works of artist and engineer Matthew Shlian and baked her new dessert consisted of 81 individual geometrically-shaped cakes layered with meringue, ganache, berry confit, a crunchy biscuit, and covered with pink Ruby chocolate. 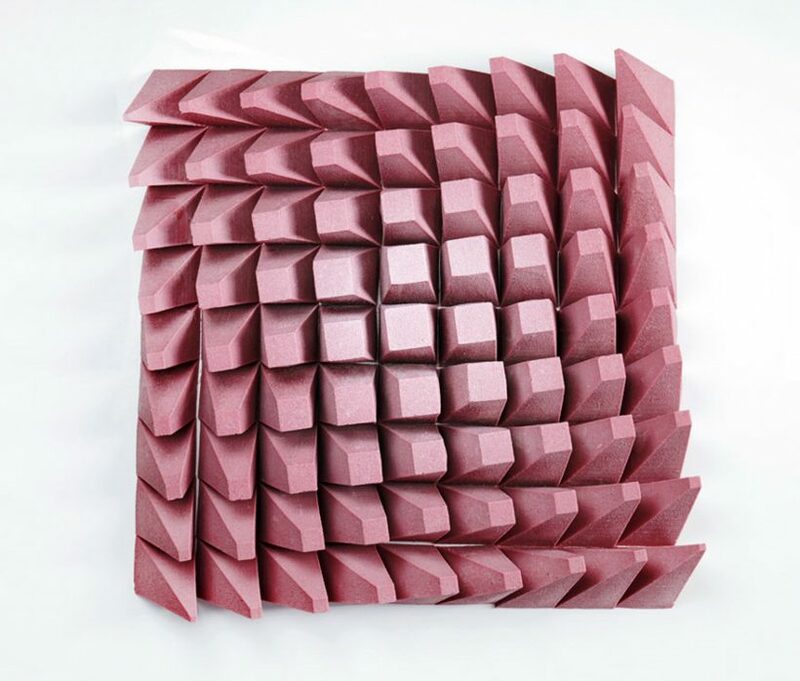 Dinara designs beautiful and scrumptious bakes in unique shape called Algorithmic Modeling Cakes that look like they’re edible buildings. 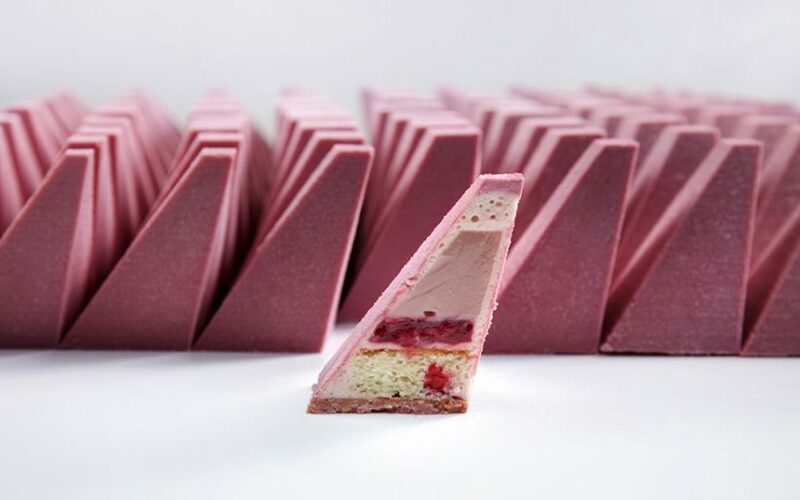 This uniquely-shaped cake was made for the presentation of new chocolate Ruby, which was held in the center of Shanghai for two days.